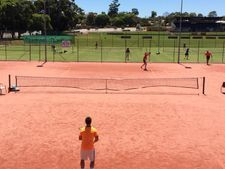 The Bayswater Tennis Club 2019 Open Club Championships draw has been finalised. Please refer to the draw attached. The draw will also be available at the Club. Please arrive at least 15 minutes prior to your match start time. The format for all events will be two tie-break sets & third set match tie break if required. The exception to this will be the Women's Consolation (format to be decided).